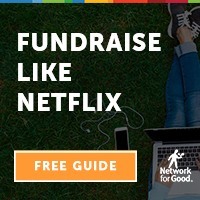 If you want to quickly raise more money at your next fundraising event, the easiest way to do it is to target the “low hanging fruit.” There are lots of little tweaks you can make to raise 5% more here and 7% more there, but if you really want to grow your event, the low-hanging fruit is the way to go. 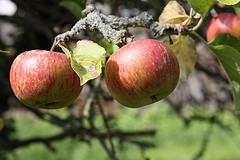 What constitutes the low-hanging fruit differs based on whether you are starting a brand new fundraising event for your organization (and want to raise lots of money right from the start) or you are in the planning stages for an event that you hold every year (but want to raise more from the event than ever before). 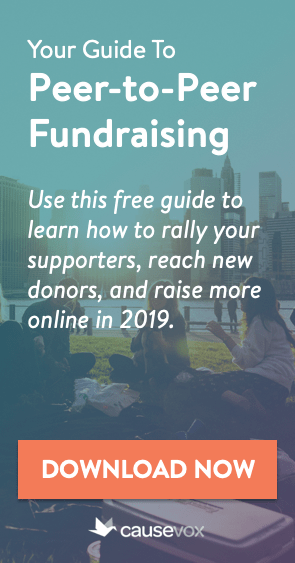 In this article, we’re going to take a look at both scenarios to see how you can use the low hanging fruit to supercharge your non-profit’s next fundraising event. The number one source of revenue for your fundraising events should be event sponsors. Ticket sales are important, but nothing supercharges an event like finding large corporate and individual sponsors for the event. One of the best sources of large sponsorships for your events is your board of directors. Several of your board members likely work for (or own) companies that don’t make large charitable donations, but do spend marketing dollars on event sponsorships. 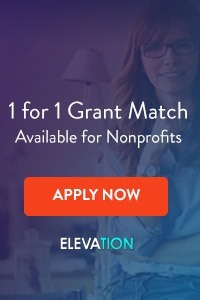 Your next event is a great opportunity to set up some sponsorship levels and benefits and ask your board members to seek sponsorship dollars from their companies. The best prospects for any non-profit are those who have already made at least one gift to your organization. A new event is a great opportunity to reach out to your current donors in a new way to ask them to consider making another gift, either by becoming a sponsor or purchasing tickets for the event. Does your non-profit use volunteers to accomplish all or part of its work? If so, you may have been squeamish in the past about asking your volunteers to make a donation to the organization. Events are a great and easy way to ask your volunteers to also become donors. Be sure to let all of your volunteers know about your new event, send them invitations, and ask them to consider purchasing tickets to help support your work. The single best way to supercharge an annual fundraising event is by spending the time in between events building personal relationships with your event sponsors. Then, when the time comes for your next event, you can reach out (in person or on the phone) to last year’s sponsors to ask them upgrade their gift by sponsoring this year’s event at a higher level. The only way to get sponsors to upgrade is to ask them to do so. Here’s how. Want to sell more tickets to this year’s event? One great way to do that is to make a concerted effort to get last year’s attendees to come again, and this time, to bring a friend (or, to get a couple that came last year to come again, and to bring another couple along with them). How do you do that? You ask! Start by sending a letter (before your invitations go out) telling last year’s guests how important the event is to your work and why you want to hold an even bigger event this year. Then ask them to consider another person or couple that they could invite to the event this year. Consider following up these letters with a call from your team reiterating this message in a gentle way. Then, send out your invitations. Some non-profits have found success offering two-for-one ticket deals for a year or two to help boost an event. Other organizations have spent time reaching out to guests from previous years who failed to attend the most recent event to try to get them back and engaged with your organization. Once you have upgraded your donors and worked to get new guests to attend, you can consider adding new revenue streams to your event. Things like silent auctions, live auctions, raffles, etc. can boost your bottom line without adding lots of new expenses. Be sure to only add one new revenue stream per year, and if the return from the new stream isn’t worth the time and stress of adding it to the event, drop it the following year and try something else. 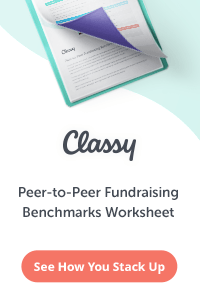 Next post: Perfect Fundraising is Impossible. Raise Money Anyway.